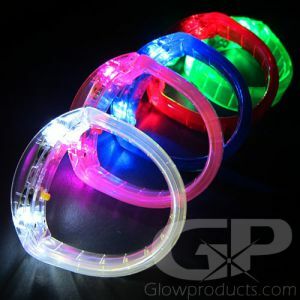 - Bright Steady LED Lights! 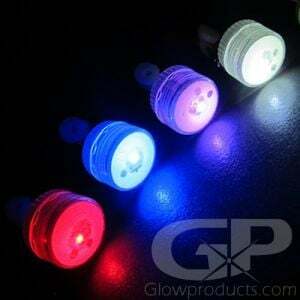 - Real Earrings with Bright Glow Effect! 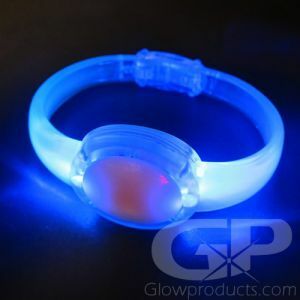 - Watch the Clear Crystal Gem Glow! Bright and fun Light Up LED Earrings! 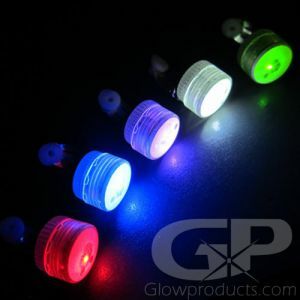 These eye catching Glow in the Dark Earrings glow with a bright LED light and are available in four colors including Green, Pink, Blue and White! Watch as the glowing light shines through the clear crystal gem creating a dazzling glow effect! Spice up your outfit and be the talk of the party with these fun Light Up Earrings. 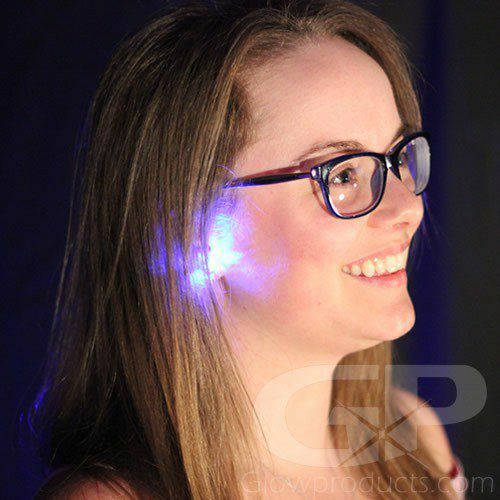 LED Earrings are battery operated and glow with a brightly colored LED light. 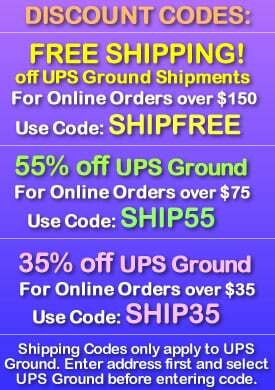 An absolute must for costumed events, glow parties or simply as shining highlights for your outfit. The LED Lights on these Light Up Earrings are a steady light and do not flash. 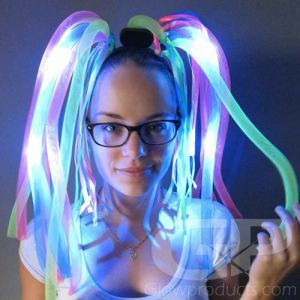 These fun Glowing Earring are real earrings and do not have a clasp. Brighten the night with these fun glowing Earrings! 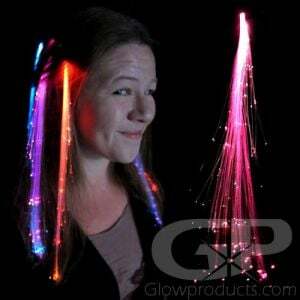 Instructions: Remove the LED Lights from the Blister Pack and simply push the Glow in the Dark Earrings all the way together to activate. Loosen the glow earrings to shut them off.